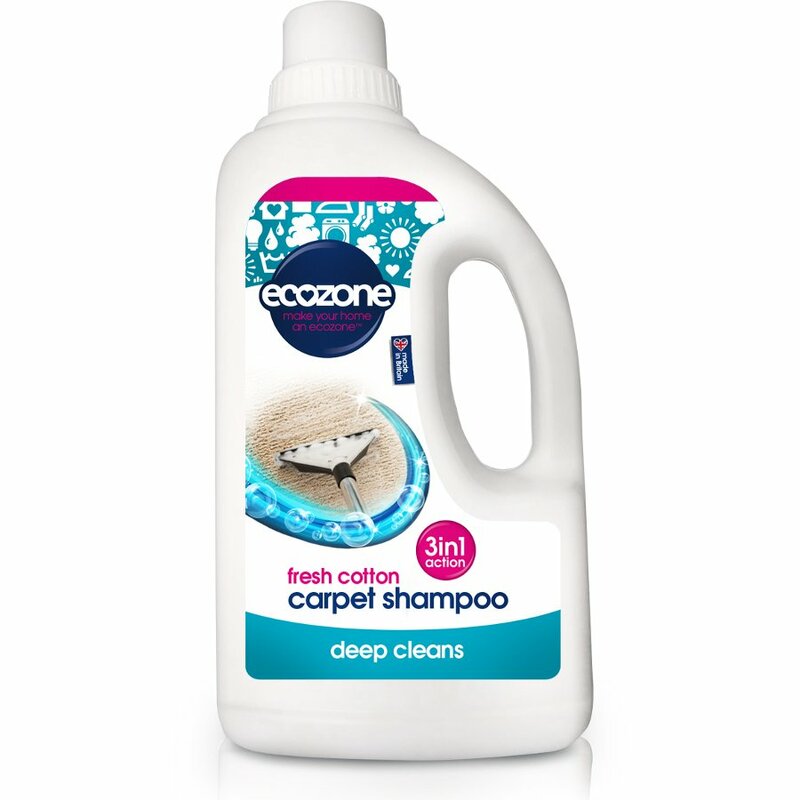 Keep your carpet stain free and smelling fresh with this eco-friendly carpet shampoo from Ecozone. It is made in the UK with a cruelty free formula that works to remove stains on all types of carpet. It is ideal for smaller areas of carpet such as stairs or rugs, or you can use it with a carpet cleaning machine for larger areas. Dilute the carpet cleaner up to 10:1 for spot stains. Apply directly to the stain, agitate with a cloth then wipe away the residue. For larger areas or use with a machine, dilute 1:8. 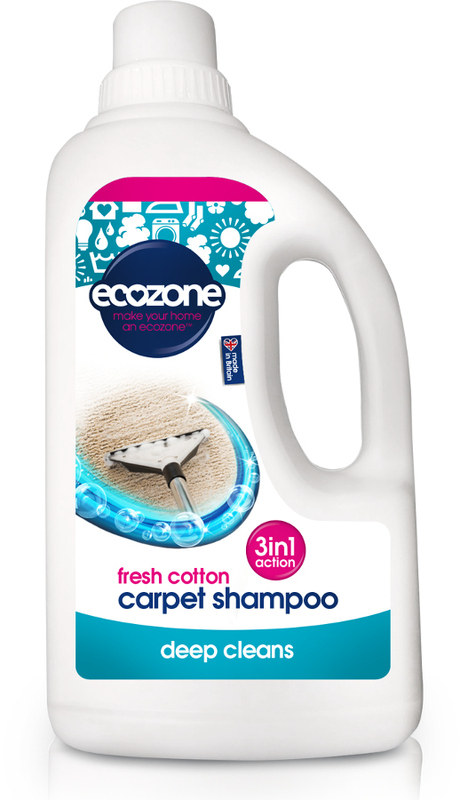 There are currently no questions to display about Ecozone Carpet Shampoo - 1L.